It’s a wondrous night. In the cloak of darkness, after being deposited in the sugary white sand of Alabama’s Gulf Coast some 45 to 75 days earlier, they emerge. Hundreds of small, green sea turtles, their bulging newborn eyes straining to find their destination—a destination seemingly pre-programmed into their brains. They’re heading to the sea, or trying to. From about May to October each year, sea turtles nest on Gulf of Mexico beaches that range from Florida to Mexico. 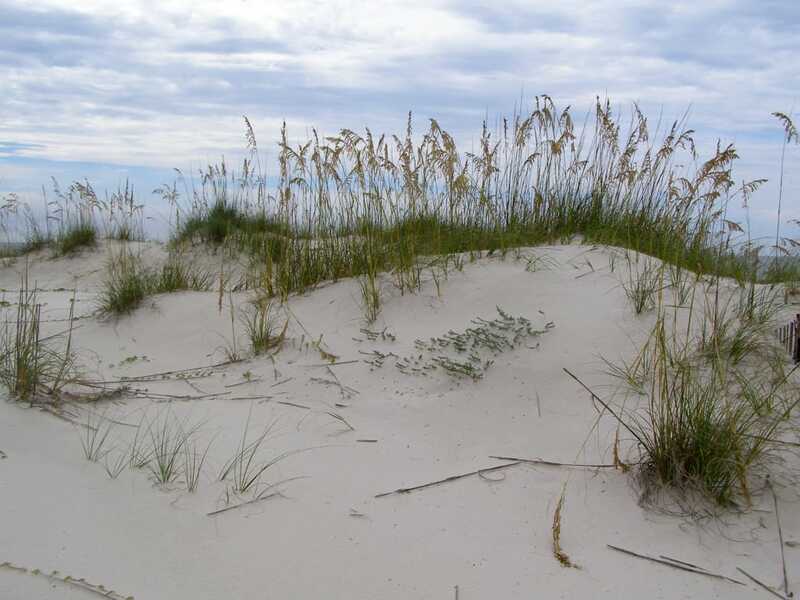 Alabama has its share of nesting grounds, and members of the public can experience these wonderful creatures and their trek to the Gulf waters by participating in a variety of volunteer activities. While organizations need volunteers to distribute information and do administrative tasks, they also provide opportunities to do daily beach patrols to locate and identify new nests, rope them off for protection, and even nest-sit at night when hatching time is near. The patrols require special training so that volunteers understand and comply with US Fish and Wildlife Service rules and regulations. The classes are administered by volunteer organizations, and a complete list of volunteer opportunities and applications can be found on the Share the Beach volunteer website. Which Turtles Love the Alabama Beaches? There are three types of sea turtles that find Alabama’s coastal beaches much to their liking for nesting. The first is the one that most people recognize, the Loggerhead, which can grow to 45 inches long and weigh between 170 and 500 pounds. The Loggerhead is a carnivorous turtle that feeds on small fish, crustaceans, and mollusks. As they make their way to Alabama’s beaches, they will also eat jellyfish and squid. When they reach the beach, they can lay up to 126 eggs per nest. Loggerheads can live up to 50 years or more and can be found not only in Gulf waters but also a little farther inland in bays and tributaries. 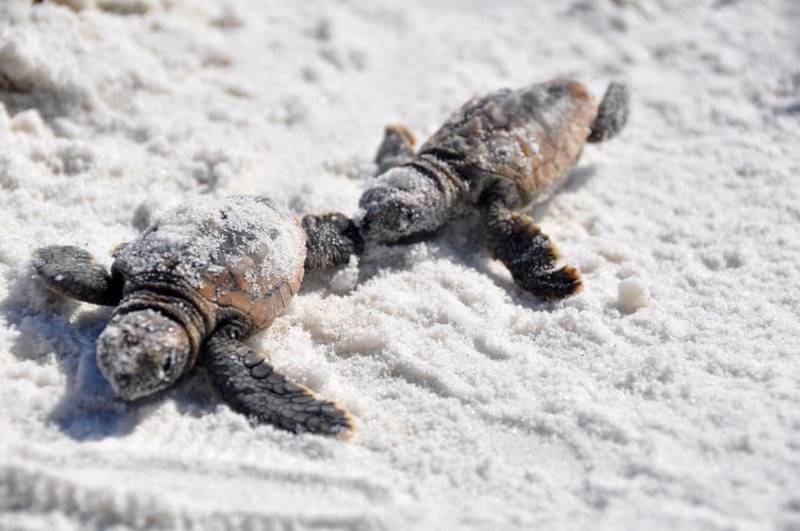 So far, 88 beaches have been identified as prime nesting areas for the Loggerhead from North Carolina to Mississippi. The turtle was added to the endangered species list in 1978. Next there is the Kemps Ridley. While most of their nesting areas are in Mexico, a few do come to the U.S., mostly in Texas, but some make their way to Alabama. The Ridley averages 24 inches in length and weighs 100 pounds. Unlike the Loggerhead, the Kemps Ridley nests from April to July and lays up to 100 eggs in daylight. They were listed as endangered in 1970. Finally, there is the Green Sea Turtle, which is found in tropical and subtropical waters around the world. At maturity, it can measure 4 feet long and weigh up to 440 pounds. This species also nests at night, laying anywhere from 75 to 200 eggs per nest, or "clutch." Unlike the Loggerhead and Kemps Ridley, the Green eats seaweed and algae. It was placed on the Endangered Species List in 1978. The journey from the nest to the sea begins when the mother swims in from the Gulf and makes her way onto the beach away from the waterline. For a time, the number of sea turtle nests were dwindling to the point of near extinction. The reasons? Obstructions and lighting. Turtles like their nesting areas to be unobstructed with easy access. Items on the beach like chairs and lifeguard stands deter them from returning to the beach, and scientists believe mother turtles seek the same spot where they hatched. exception of Kemps Ridley, sea turtles nest in darkness. If a mother encounters too many lights, she can become confused and drop her eggs in the ocean where they will die. Hatchlings also require the darkness because they use the light of the moon to help guide them on their journey from the nest to sea. If a hatchlings encounters a streetlight or other light source, it can get confused and end up in a parking lot where it will likely die. The odds of an egg surviving its incubation period and its eventual walk to the sea are daunting. The eggs themselves can fall prey to animals such as fox, raccoons, and even dogs. Once they hatch they have to make a mad dash to the water to avoid other predators like crabs and sea birds. Once they reach the sea, hatchlings are not out of the woods, so to speak. They float in the open sea or on sargassum mats for up to two years, making them easy pickings for grouper, snapper, and sharks until they are big enough to not be eaten. Then, of course, there is mankind. Humans have not only filled the coastline with hazards and distractions, but inquisitive people also prod around nests, disturbing or breaking egg, and fishermen catch the turtles in their nets. 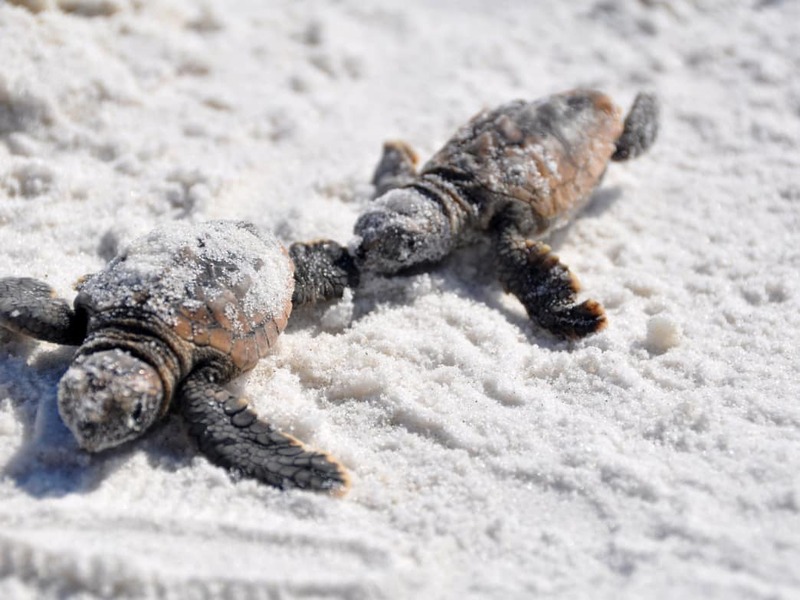 It sounds like an almost impossible battle to protect these beautiful creatures, members of Alabama sea turtle conservation program, Share the Beach, will tell you that progress is being made. 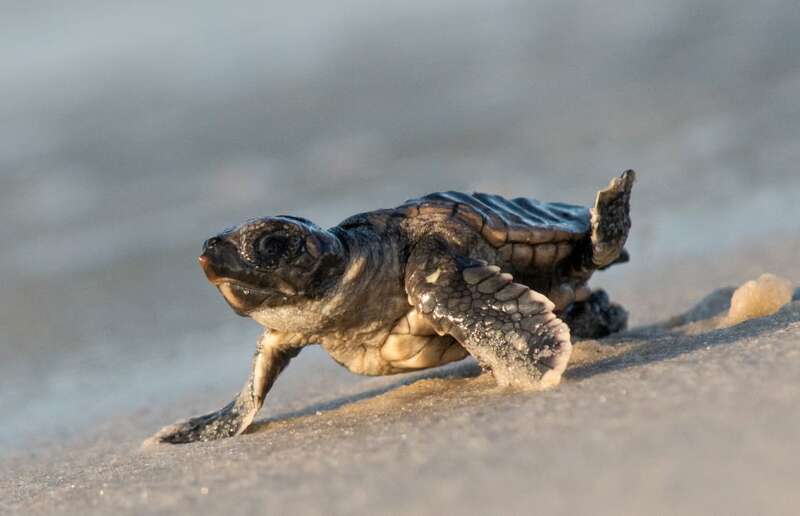 The program was started in 2005 as a venture between volunteers and the Bon Secour National Wildlife Refuge, a prime nesting ground for the turtles due to its remoteness. Today, the work is also shared with the Alabama Coastal Foundation. Do not use a flashlight on the beach at night. If you live near the beach, turn off outside patio lights and indoor lights that shine on the Gulf. Do not disturb a nest! Leave sea turtle tracks undisturbed. This is how volunteers know where a nest is located. Pick up trash on the beach, even someone else’s.